Great location close to some great eateries,coles all walking distance. Also very close to AAMI park which was great for us. Apartment was great. Great communication regarding this property. Walking distance to Richmond restaurants, train station and Australian Open tennis. It was safe, clean, well appointed and exactly what I needed. Super convenient location, car park, comfortable bed, washing machine and drier. Very helpful host. Very convenient for Melbourne sports venues and plenty of eating options. Loved the warehouse look of the complex and corresponding lovely decor in the unit. Good sound proofing as virtually no sound disturbance. Thankful for fully functional air con as 40c during our stay. Very good location for tennis open and eating out. Funky area.loved this stay. Very nice place! Linton and his team are very kind and helpfull! Handy for Aami Park and for station. Lots of eateries nearby as well as Coles and BWS for self catering/snacks. 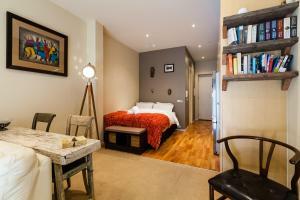 Lock in a great price for Tennyson - Beyond a Room Private Apartments – rated 8.6 by recent guests! Tennyson - Beyond a Room Private Apartments This rating is a reflection of how the property compares to the industry standard when it comes to price, facilities and services available. It's based on a self-evaluation by the property. Use this rating to help choose your stay! Tennyson - Beyond a Room Private Apartments offers accommodations in Melbourne, a 16-minute walk from Melbourne Cricket Ground and 1.2 miles from Rod Laver Arena. 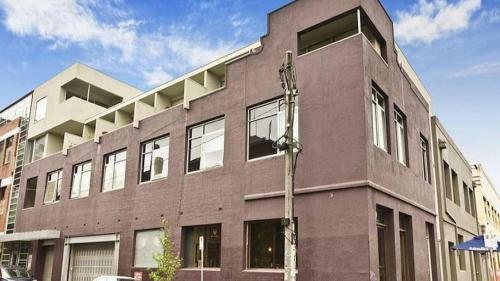 The property is 1.5 miles from Melbourne Arts Center and 1.5 miles from National Gallery of Victoria. Providing access to a balcony, the air-conditioned apartment consists of 1 bedroom and a fully equipped kitchen. A TV and a DVD player are provided. Royal Botanic Gardens Melbourne is 1.7 miles from the apartment, while Federation Square is 1.8 miles away. 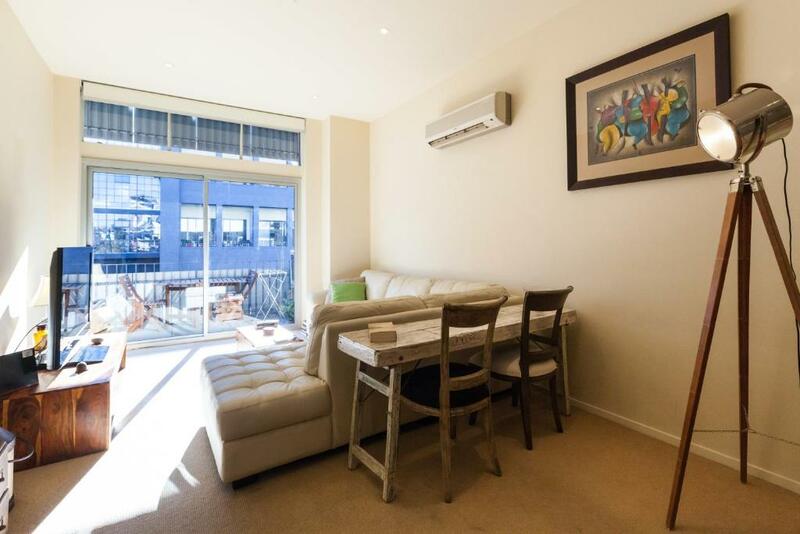 The nearest airport is Tullamarine Airport, 16 miles from Tennyson - Beyond a Room. Richmond is a great choice for travelers interested in sports, cafes and entertainment. 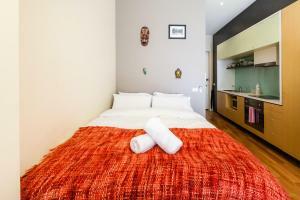 When would you like to stay at Tennyson - Beyond a Room Private Apartments? This apartment features a DVD player, washing machine and stovetop. 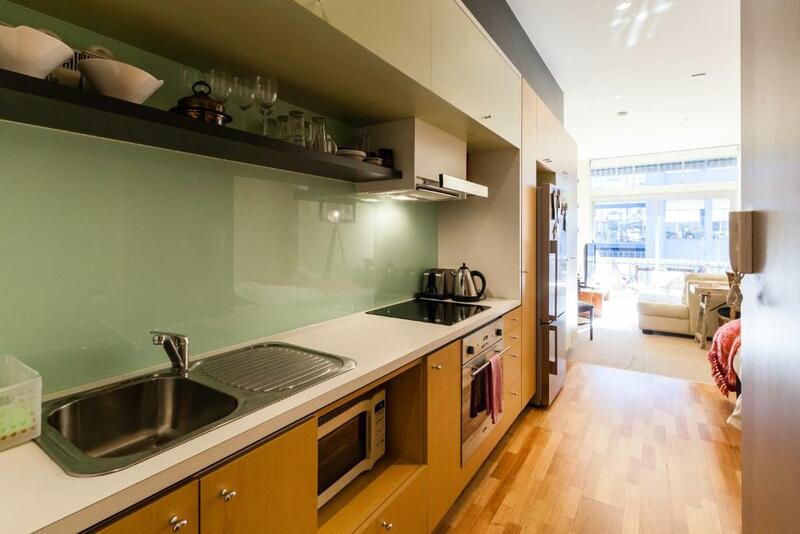 Our space Tennyson is a fresh new studio apartment in the heart of Richmond's restaurant, bar and sporting district. 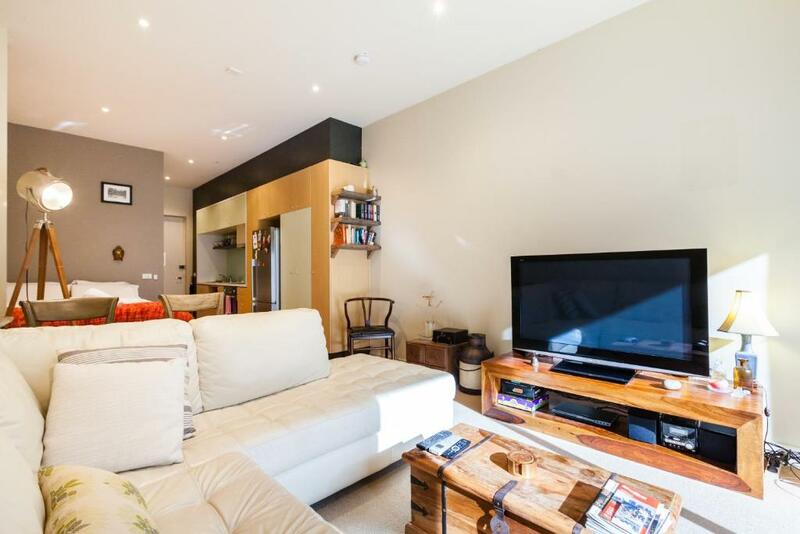 This open plan studio has all you need to make yourself at home; beautiful timber flooring, comfy modular couch, a great kitchen with all you need to cook up a storm, and a balcony with outdoor setting from which you can take in the vibes of Richmond. 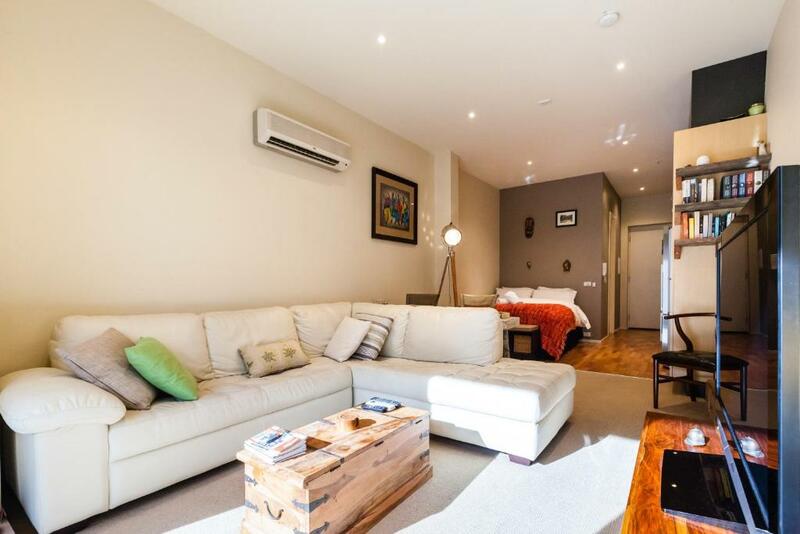 It is also close to the Botanic Gardens, sports precinct including the MCG, and just one quick train stop from Melbourne's CBD, so it is in the perfect spot to go exploring from! House Rules Tennyson - Beyond a Room Private Apartments takes special requests – add in the next step! A AUD500 damage deposit is required 7 days before arrival (about USD359.02). This deposit will be fully refunded 7 days after check-out, as long as there isn't any damage to the property. Tennyson - Beyond a Room Private Apartments accepts these cards and reserves the right to temporarily hold an amount prior to arrival. Please note that there is a 1.8% charge when you pay with a [Visa/Mastercard] credit card. Please note that there is a 3.1% charge when you pay with an international credit card. Please note that there is a 2.6% charge when you pay with a [American Express] credit card. Please note that Tennyson - Beyond a Room has no reception. Please contact the property in advance for further details. 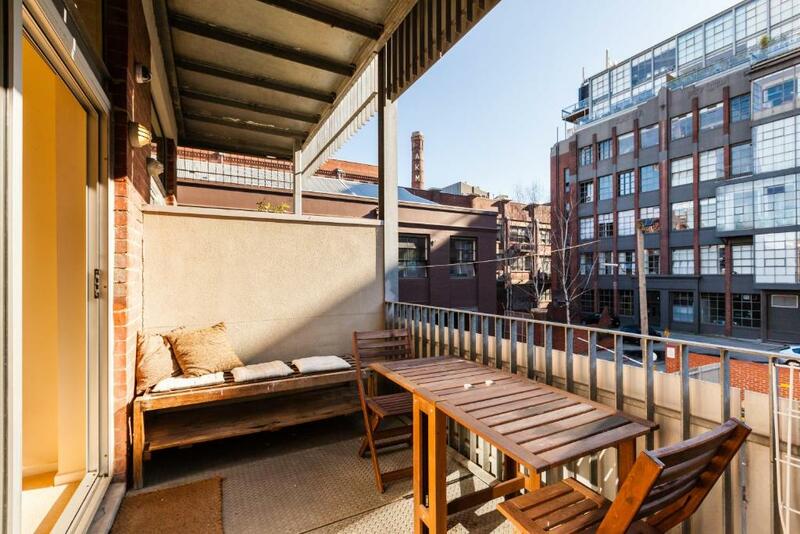 This property, including the balcony, is strictly nonsmoking. Evidence of smoking anywhere at the property will result in loss of the bond amount. You must show a valid credit card upon check in. This credit card must be in the same name as the guest's name on the booking confirmation. Please note all guests must provide a copy of their photo ID to the property, prior to arrival. All guests must sign the property's Terms of Stay. The property will be in contact with you after booking. Please inform Tennyson - Beyond a Room Private Apartments of your expected arrival time in advance. You can use the Special Requests box when booking, or contact the property directly using the contact details in your confirmation. A damage deposit of AUD 500 is required. The host charges this 7 days before arrival. That's about 359.02USD. This will be collected by credit card. You should be reimbursed within 7 days of check-out. Your deposit will be refunded in full by credit card, subject to an inspection of the property. Room could do with a clock as there wasn’t a side table next to bed so had to leave phone on the kitchen bench and had to get up to check the time. Stairs difficult with heavy luggage. Remote for Parking did not work so I had to park on the street. The bed was a bit too soft, but manageable for a couple of nights. The remote for garage is difficult to get working (probably needs a battery change) and the key to main entrance of building is tight and takes a bit to get open. Great location and nice place to stay. Outside noise travels easily indoors Did not prefer the different cultural/worship idols hanging above the bed. Felt uncomfortable. We had to keep the blind closed at times to preserve privacy, but hey, it’s the city. A bit noisy with trains & trams. Carpet a little stained but this didn’t marr any of our excellent experience. Clean and comfy. Close to all facilities. Could have done with a non-slip mat in shower. The carpet needs a clean and the aircon wasn't working ... the hosts were grateful for the feed back and sounded like they wanted to address both things.